DAT is proud to announce the launch of our latest SBR adhesive. 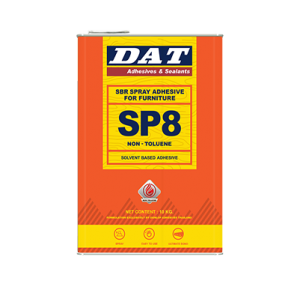 SP8 is a high quality non-toluene adhesive with a high solid content and ultra fast tack time ideal for the Furniture Industry. Developed by experts, trusted by professionals.